There's almost 2.5 billion people on Facebook now, with 1.5 billion of these being active on a daily basis. Additionally, there are more than 60 million active business pages. All of these people and pages produce an awful lot of content that is vying for your attention. In short, there is more content than time to consume it, which is why some of your posts may not reach as many people. In addition to the increase in people and pages making posts, people are now sharing more content online. Beyond making personal posts, they might share an interesting article they read or a great YouTube video they watched. Buttons that allow you to share content directly to Facebook is all over the web now, adding to the already clogged Facebook feed. Back in the day, Facebook used to display all posts from your friends and pages you had liked in chronological order. That changed in 2013, when they moved to an algorithm-based news feed that would show posts that are “most relevant” to the user. 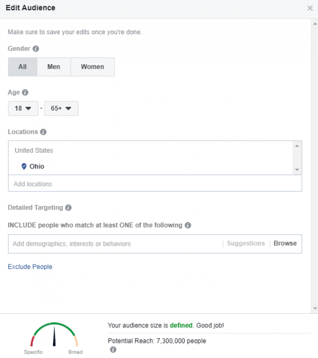 This hinders organic reach because you can no longer make a post during Facebook’s peak traffic times and know that it will be shown to the maximum amount of audience members. Now there is no guarantee a person will ever see your post, even if you make a post directly before they log on. Enter the boost. Boosting is essentially a way that you can “pay to play”. Give some money to Facebook, and they will place your post in front of the eyeballs you seek. While some might see this as Facebook going “whoops Facebook is too popular now, give us money and we’ll let people see your content”, it is important to consider that boosting does provide great value for your company. In reality, it is not just a matter of paying for the post to be seen. Boosting is also a very powerful tool that can be used to target not only existing fans, but also potential customers. When boosting your posts, you create surprisingly sophisticated audiences, to ensure that the post is relevant to those who see it. Gender, age, locations and interests can be combined to make sure you hit the nail on the head. Imagine if you’re a new company or a small business with a small online following. Making Facebook posts is still important, but it doesn’t necessarily do anything if you’re posting to the same 50 people over and over. Using the boost function allows your posts to reach beyond those who already know you, and build trust and relationships with people who can become customers and clients in the future. Check out this article by Hootsuite for a more thorough article on exactly how to boost posts. As always, the key to any content marketing or social media strategy is to make good content. Be personal, be authentic, and let your personality shine through on social media. Provide value, too. This could mean sharing posts from other companies in your industry. Maybe don’t boost these, though… If your followers aren’t gaining anything by following you, you are doing it wrong. Give them a reason to follow you. Inform, educate and entertain. By making either interesting offers or interesting posts, we are more likely to engage the audience and make them care. 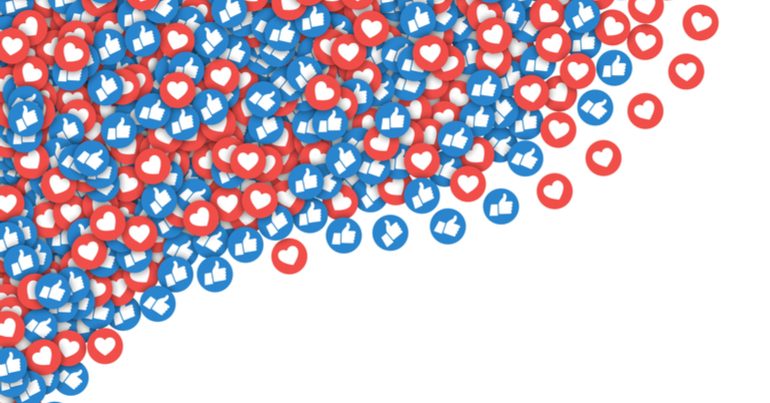 If they like or comment on the post, Facebook is likely to display this fact in their friends’ feeds, which helps the post spread through your communities. This, in addition to a little boost, can go a long way. The boost is simply one of many tools you should have in your toolbox. It is not a crutch. It can help by showing your post to potential customers, but it can’t do all the heavy lifting for you. A bad post will still do badly if it has a $100 boost behind it. I realise that saying “hey, just make good content” sounds incredibly condescending. Because content creation is tedious, difficult and frustrating. But it is also very important, and you need to do it. Or hire a digital marketing company to do it for you.